What percentage of the ideal number of volunteers do we currently have (on a four-week rotation basis)? To be part of our Children’s Ministry (Kids Bible School), you do not need to be an expert. Each member of our Children’s Ministry team has one thing in common: a passion for teaching children about Jesus. If you have a heart to love God, you love children, you are energetic and enthusiastic about teaching children about Jesus, then you have some of the basic ingredients to become a leader in our Children’s Ministry. We have many ways that you can be involved in the Children’s Ministry, in a time frame that will work for you. We look forward to getting to know you and to helping you find where God has shaped you to be. 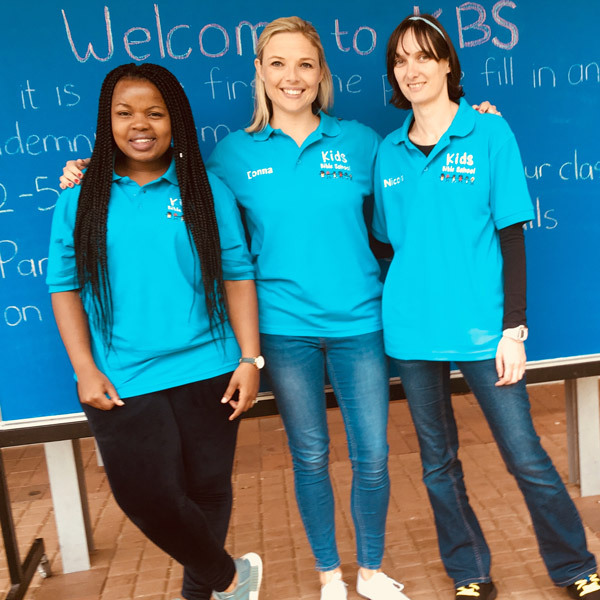 It will be exciting to watch God at work in you and through you as you become part of KBS at Rosebank Union. Complete the Children’s Ministry application form, which will be provided to you once we receive your online indication of interest. A meeting or discussion with the Children’s Ministry Director and / or your Life on Life or Community Group leader may be set up. 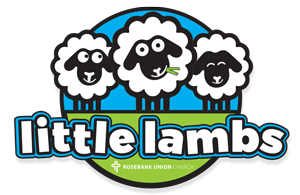 Little Lambs is a place for toddlers from the age of 6 months to 24 months to have fun and start the journey of learning about Jesus. Parents are able to drop off their children in the friendly and caring hands of Little Lamb helpers. You do not need to be an expert but you need to love children, be energetic and enthusiastic about playing, singing and teaching children about Jesus. We aim to have at least three volunteers on duty at a time. Little Lambs is open on Sundays at both 8am and 10am morning services. Helpers assist with playground supervision, snack time, doing puzzles, blocks and other games inside. Our Pre Prep classes are for kids in the Age 2-3 and Age 4-5 classes. These kids have joint worship time, age appropriate small group lesson and craft time and lots of joint play time! Kids this age learn through stories and games and our lessons are filled with these. You do not need to be an expert but you need to love children, be energetic and enthusiastic about playing, singing and teaching children about Jesus. We aim to have at least one concierge, one leader and two helpers on duty, per class, at a time. Pre Prep classes run on Sundays at both 8am and 10am morning services. Welcome and assist parents through the check-in and check-out process and security information. A leader leads the kids in a Bible story lesson time. A curriculum guideline is provided to assist with leader preparation. A leader is responsible for selecting a craft activity to align with the lesson aim. A leader is required to be a church member or in the process of becoming a church member. Helpers assist with worship time, craft activities, playground supervision, snack time and other inside games. Our Junior Prep classes are for kids in the Gr 0-1 and Gr 2-3 classes. These kids have large group lesson and worship time and age appropriate small group lesson, craft and activity time. Kids this age are starting to develop their reasoning skills and to discover Biblical truths. We encourage scripture memory, reading our Bibles and praying together. You do not need to be an expert but you need to love children, be energetic and enthusiastic about playing, singing and teaching children about Jesus. We aim to have at least one concierge, one leader and one helper on duty, per class, at a time. Junior Prep classes run on Sundays at both 8am and 10am morning services. Helpers assist with worship time, craft activities, playground supervision and other small group activities. Our Senior Prep classes are for kids in the Gr 4-5 and Gr 6-7 classes. These kids have large group lesson and worship time and age appropriate small group lesson, craft and activity time. Kids this age can relate Biblical truths to themselves and seek ways to experience God. We encourage scripture memory, reading our Bibles and praying together. You do not need to be an expert but you need to love children, be energetic and enthusiastic about teaching children about Jesus. We aim to have at least one concierge and helper and one leader on duty, per class, at a time. Senior Prep classes run on Sundays at both 8am and 10am morning services. If you are gifted in arts and crafts and organising, we invite you to join our KBS workgroup who meet on Wednesday mornings from 9:30 to 11:30. The workgroup helps with craft activity preparation for Sundays, sorting of classrooms and toys and other KBS admin.